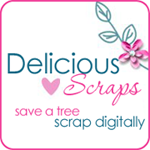 Delicious Scraps: Merry Christmas and Happy Holidays!! Just wanted to wish you all HAPPY HOLIDAY SEASON!!! May all your wishes come true and have a safe one!!! Thank you all for your kindest wishes!! Thank you for ALL YOUR DONATIONS!!! Those are greatly appreciated especially at this time! Thank you ALL for your THANK YOUS and COMMENTS!! I know sometimes I do not reply or get back to you but only because I am especially busy and try to make new posts whenever I have free time! WARMEST HOLIDAY WISHES TO YOU AND YOUR FAMILIES!! Just dropping by to wish you and your fammily a wonderful Christmas. We're all recovering from the flu which hasn't been much fun but feeling lots better now. Hi Anna, thank you so much for all your freebies and all the beautiful work you do. Have a very Merry christmas. Love all your kits, thanks so much for the great freebies! Thanks for all your great kits, and freebies!